During the consultancy stage of this project it became apparent that the level of siltation was much more severe at one end of the lake than the other. This happened to be the area most utilised by the public. 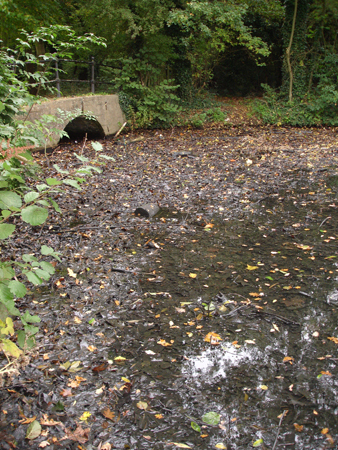 The deposition of fallen leaves and silt had built up to a stage where the lake bottom was actually exposed during dryer weather, and the foul smells were deterring visitors. To rectify the critical level of siltation, whilst working within a realistic budget, Stillwater Management created a partition enabling one end of the lake to be de-watered. 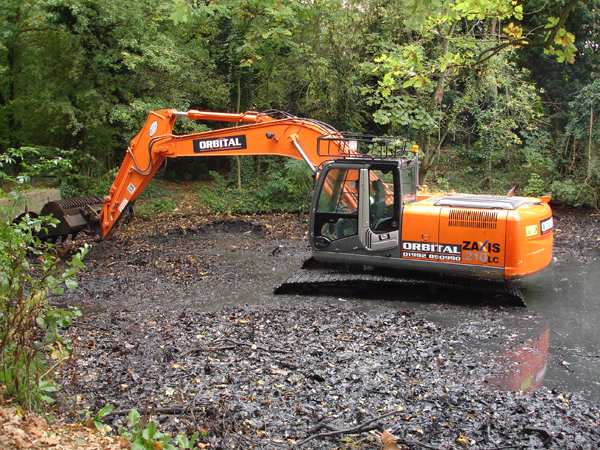 This allowed thorough clearance of silt by machinery entering the lake and not only resolved the problem, but also reduced cost and brought the timeframe for this aspect of the project down from many weeks to just a few days. Stillwater Management were subsequently nominated for an award from the London Borough of Hillingdon. 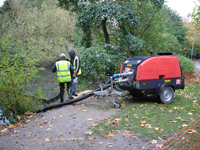 Removal of silt directly from ponds with vacuum tankers requires constant agitation to allow suction of solids. We have access to specialised tankers with much improved suction. Often we use tankers for situations where silts need to be hauled over no spill zones such as public highways.